Cinderella Libow, affectionately called Cindy, is a very special Mutt-i-gree dog. Cindy is a 6 year old trained therapy dog. Cindy is a shelter dog that we adopted from North Shore Animal League America. I often bring her to my ESL classroom to help the students learn many things – including (but not limited to) letters, phonics, reading, writing, math, responsibility, caring, and kindness. 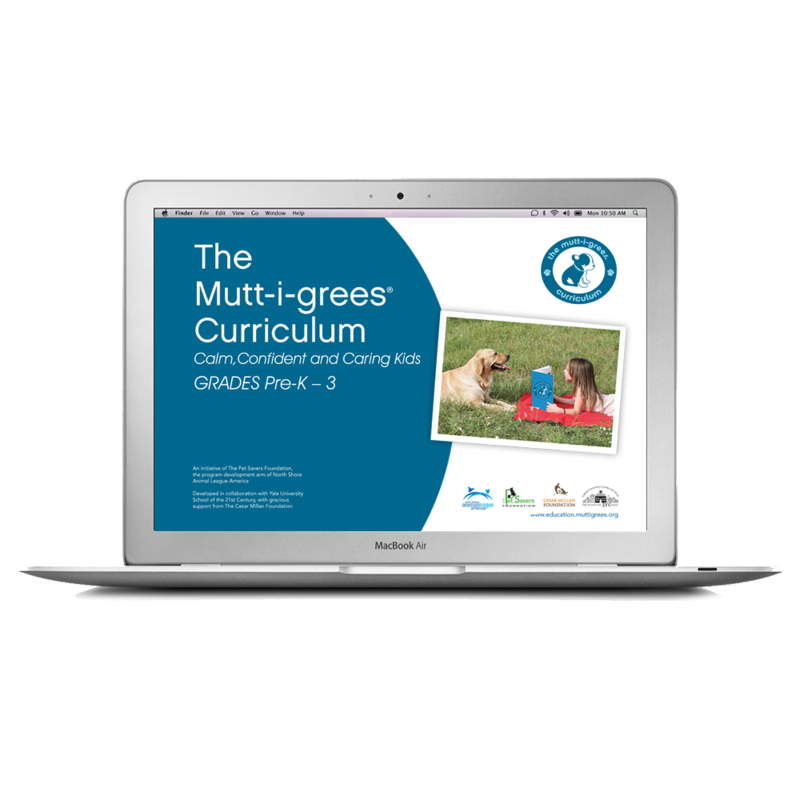 This year, Cindy is helping me teach the Mutt-i-grees® Curriculum to my students. Nothing is more exciting than having a real live Mutt-i-gree in the classroom. Cindy loves coming to school! She’s become quite a big part of Gerald Neary Elementary School in Haverstraw, New York.